Caption: Graf Waldersee steigt aus dam Zuge. / Count Waldersee getting out of the train. 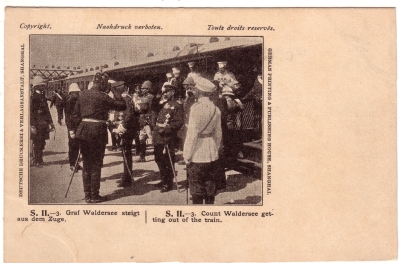 Action: On leaving a train, Waldersee is welcomed by a German high-ranking officer, possibly in Tianjin; he is surrounded by numerous officers and civil officials. 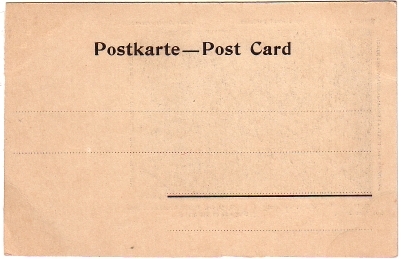 Image Particulars: Waldersee was the commander-in-chief of the allied armies during the 1900 war. He arrived in Tianjin on September 25, 1900 (after Beijing had been captured by allied forces).